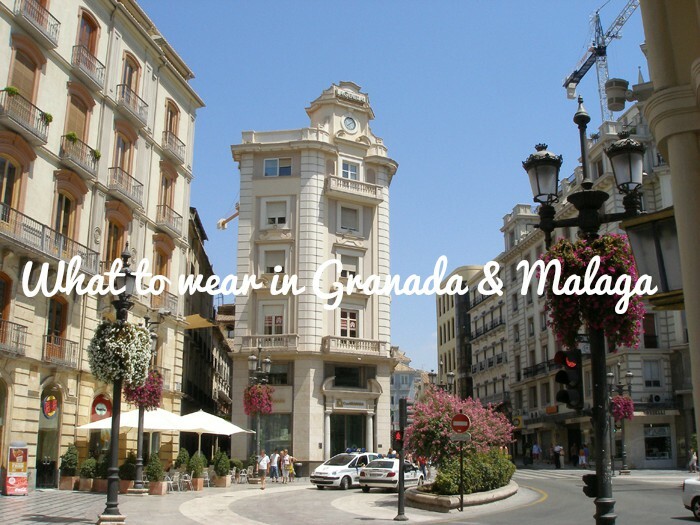 This summer I got to visit Malaga for a couple of days and then headed to the lovely Granada. Super intelligent of me to go south in August when the weather in Barcelona is already making you sweat 24/7. Anyway I packed my bags thinking of the hot sun and the chance of colder nights in Granada. What I didn't expect was that kind of heatwave in Malaga and not a moment of air during all day -and night. First timer in Malaga, 3rd time in Granada so I expected several things, just like when I was in the charming and always welcoming Sevilla (I don't know anyone who hasn't fallen in love with the city). 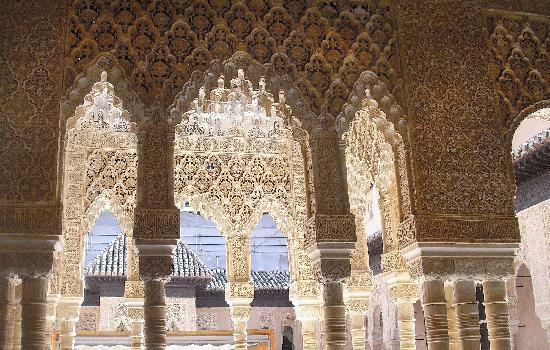 Here are some tips on what to wear if you go south and visit Andalusia. As stated before, the weather in Malaga is hell itself, though Granada can get chilly at night so I'd suggest bringing a cardigan or foulard for the evening and night walks around the city. But other than that, bring shorts, skirts and dresses because during the day you will thank having legs and arms uncovered. 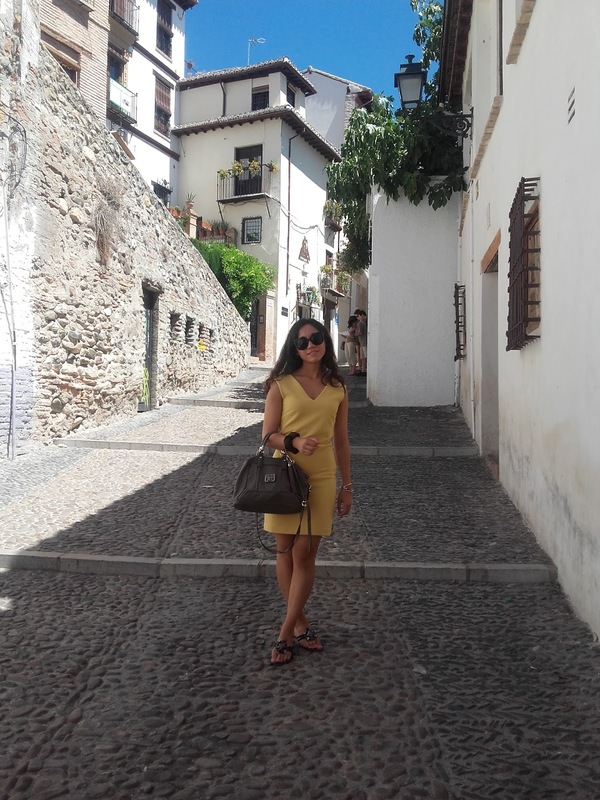 In Malaga I opted for basic shirts and colorful coral mini skirt to survive a really warm night, and during the day I put on a maxi dress which was very simple and comfortable. Sandals for everything though I found out the floor was rather slippery.. so that was a problem. In Granada, a city which spreads more glamour and style, I took out the maxi skirts and more detailed tops with jewel-sandals. On my first night I was wearing a khaki silk maxi skirt together with a burgundy crop top, and dark purple sandals. Great option since the air got a bit mild around 22h. During the day the temperature was hot but not as much as in Malaga, we wore shorts, mini skirts or short dresses for everything. Bear in mind a couple of things, Granada has great avenues but most of the places you want to visit are surrounded by cobbled (super beautiful) streets and stairs. So I advice to wear flats and leave the wedges and heels at home, but don't think flip-flops please. Another thing is that you might visit the cathedral or some church, we didn't have any problem there but who knows, sometimes they do not allow you to enter wearing short dresses or sleeveless shirts, so just in case cover your shoulders up. Strolling around Granada city center is a great way to discover the historical center and narrow streets with lots of details and different atmospheres. From Calle Elvira going up to Albaycin trying out different tapas, to Gran Via and Plaza Nueva if you want to do some shopping and have a coffee; you have many options to go with different outfits every day. 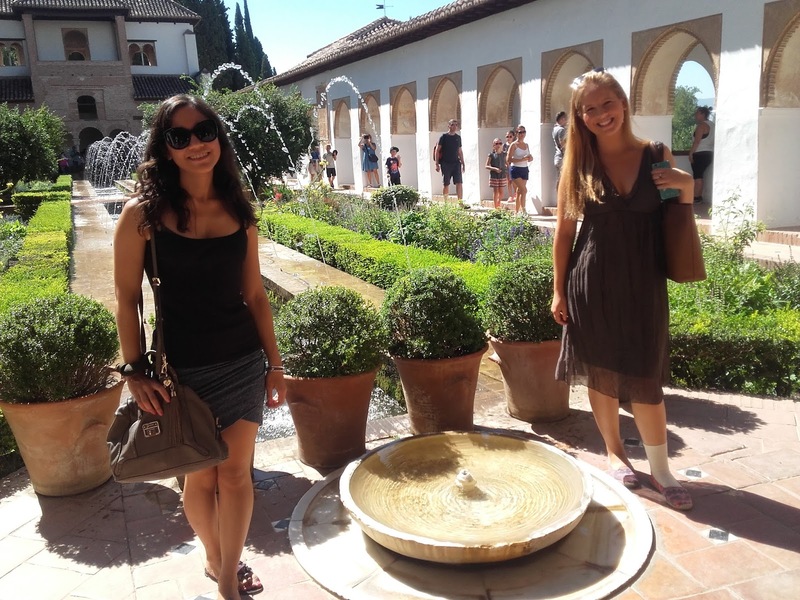 We dedicated two days to see Alhambra, one for the palaces and another for the summer palace and the gardens. One more day and we could be equals with Jim Morrison :) Now Alhambra can be tricky, you might think museum/palace all nice but bear in mind its floors are not red carpets. I almost wore a maxi dress and then changed my mind (clever lau) and opted for a skirt. Smartest decision of the trip, since dust would be all over my dress and chances are I could have stepped on it and end up being a disaster and show for everyone there. 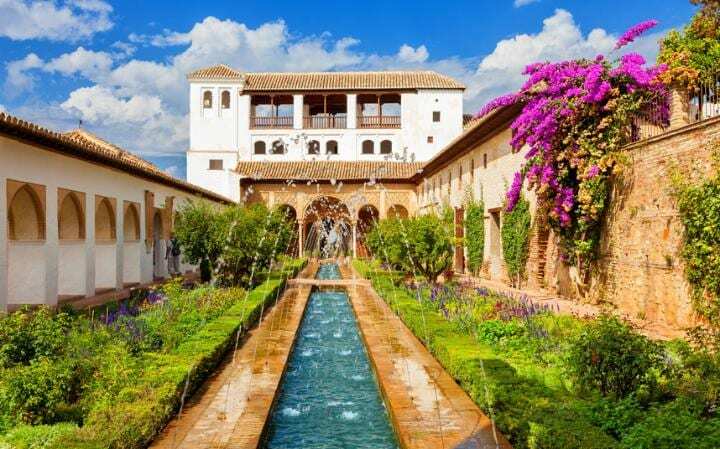 Every time I go to Granada I do go back to the Alhambra, the palace-fortress that stands out in front of a beautiful city and receives thousands of people every day. At night we visited the gypsy quarter Sacromonte and saw a flamenco show, which was great to be in. Knowing it could get chilly we wore long dress & maxi skirt and had a cardigan inside the bag just in case. Also the friendly mosquitoes there are waiting for the moment you wear shorts to attack, so at night long is the answer.